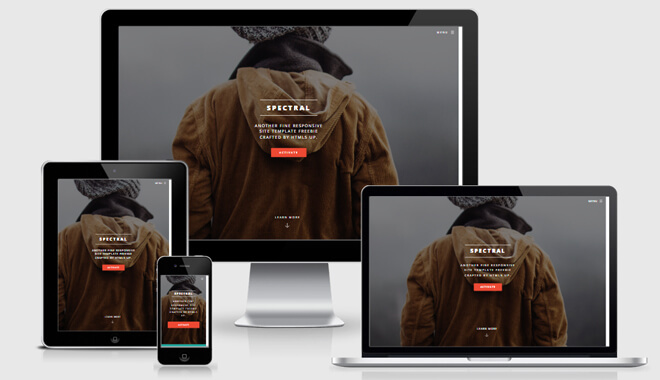 Spectral is a free Mobile Friendly HTML5 Template nicely crafted with HTML5, CSS3, Bootstrap 3 & jQuery. Download this mobile friendly template. Being a freelancer designer, artist, photographer, etc. what comes from the most important skill is the creativity. 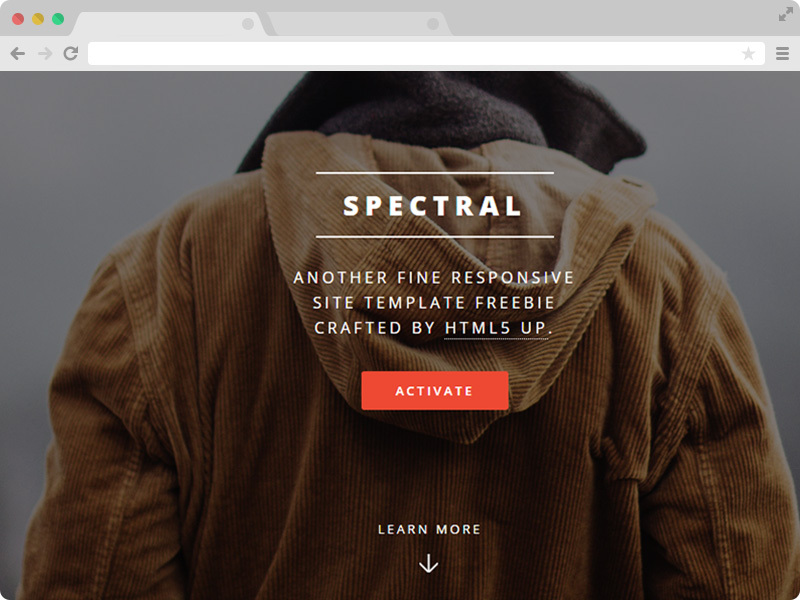 We are presenting you Spectral, a free responsive Skel framework mobile friendly HTML5 template which works very nice and great when it comes to representing yourself in every possible great way exactly you want. 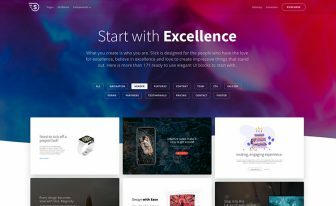 This template is beautifully created with HTML5, Skel framework, jQuery, and CSS3. This is a usable template – not any free crap. Why do you prefer Spectral? 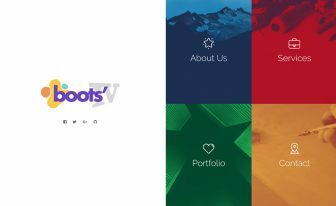 The most important principle of a portfolio site is to present all your creative works to the visitors and the customers you are trying to reach or hired by. They should get a complete overview of your skillful works and their quality. You can very simply arrange and rearrange your specific work you want to put on your site. 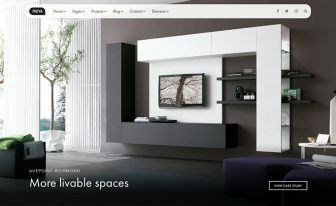 In recent times one-page layout is a very classic and a smart way to make your website. You hardly need multiple pages to show your works and details. Visitors and customers are going to find all the things they need to know in a single page. As this one-page layout is a trend nowadays, it shows you are updated and coping up with the latest incomings. 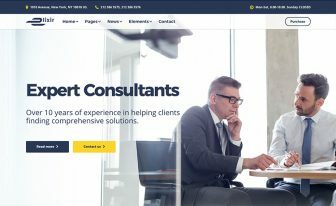 This is a very cool way to present yourself to the customers, and this free responsive HTML5 personal portfolio template comes with this great one-page layout system. This free template is created using HTML5, CSS3, Skel framework. The amazing bright design is very usual to increase public interest. It is difficult to imagine a more decent and better view for a portfolio template. Properly maintained W3C valid HTML markups make this template SEO friendly. Updating your meta title, tag and description will list your site in google list and will help to keep your site in the top rank. The most frustrating moment is when the very expensive template you’ve bought doesn’t have a smooth response on smartphones. This free responsive HTML5 personal portfolio template comes with 100% mobile responsive ability. Yes, 100%!! Spectral is a multipurpose template. You can use it for many purposes like the development of a personal website, agency website template, portfolio website, etc. Spectral is designed to work well on mobile devices along with laptop and desktop. Use this FREE mobile friendly HTML5 template for your next web design project. There is some free responsive HTML5 skel framework website in Themewagon. 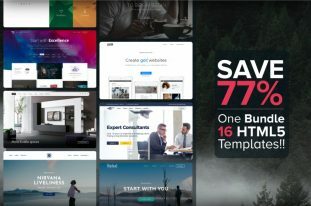 You can browse all of our free skel framework templates here. Connect with us via Facebook, Twitter, Google+, and Instagram if you want more latest updates.